When it comes to dessert, I typically go all in. If you’re going to indulge, I say just do it (but don’t over do it!). However, I’m also always looking for new ways to sneak in healthy foods for my children. Overall they eat pretty well, but extra nutrients can never hurt! I came across this recipe and had it marked to try out. I finally got around to making them this week and am glad I did. 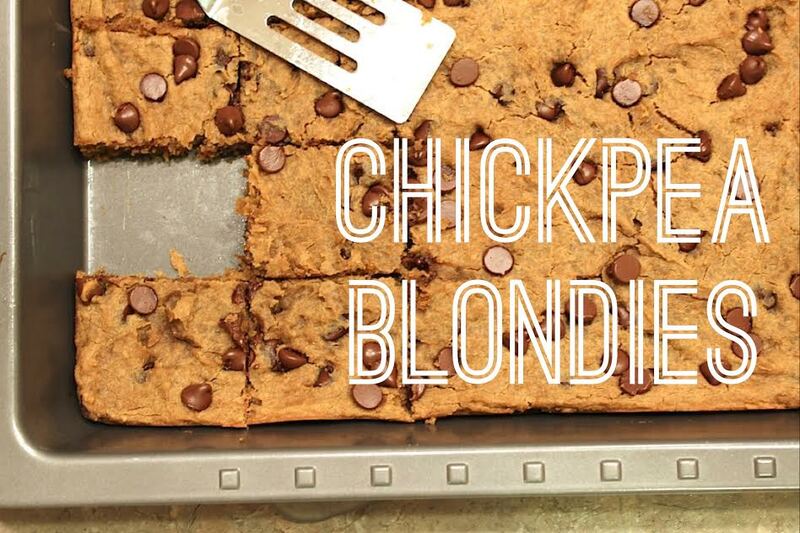 We aren’t vegan or gluten free but for those that are, you’re going to love these. They are flour-free and butter-less but are full of flavor and have a soft, chewy consistency. 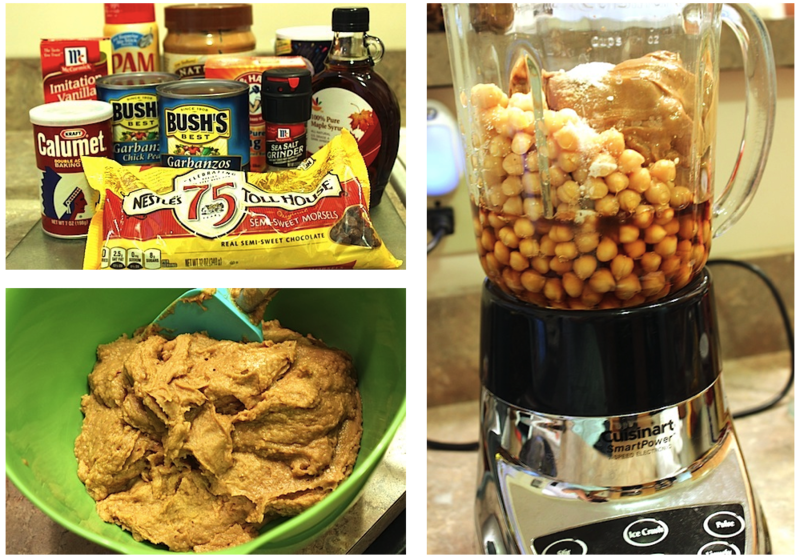 And thanks to the chickpeas and peanut butter you’ll get a nice dose of fiber and protein! If you have a food processor, this will be a snap. If you don’t, like me (it’s on my ‘need’ list), a blender will manage to do the trick. You’ll just need to get in there with a spoon and mix it up a few times. You literally blend/process and bake. Super simple and as healthy as a dessert comes in my book! Preheat oven to 350 and spray 9×13 inch pan with nonstick cooking spray. 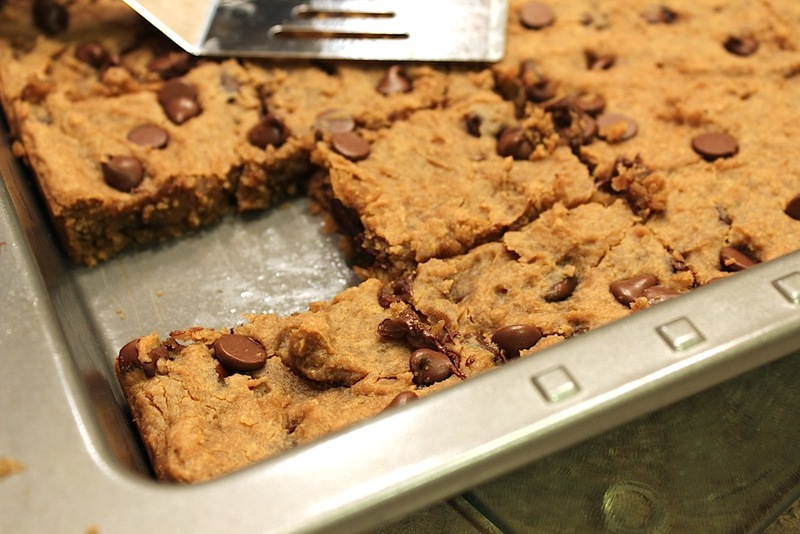 In a food processor or good blender, add all ingredients except chocolate chips and process until batter is smooth. 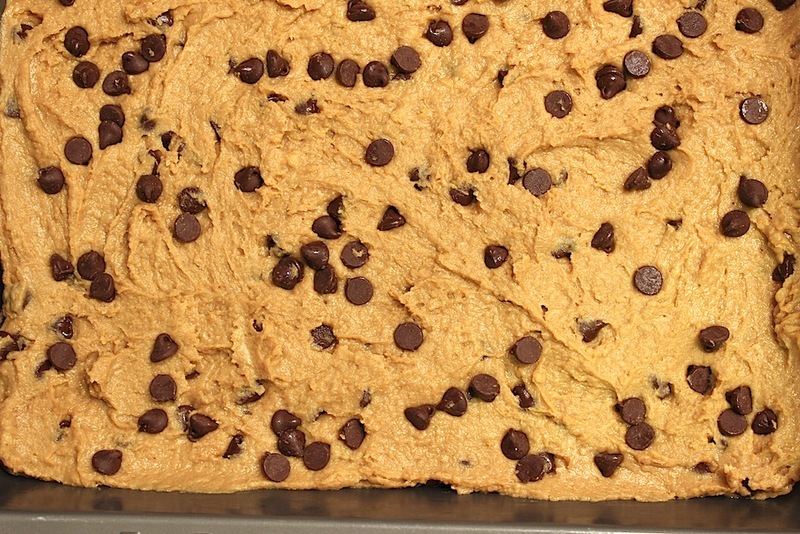 Add in 2/3 cup of chocolate chips. Spread batter evenly in prepared pan then sprinkle and lightly press 1/4 c chocolate chips on top. Bake for 25 minutes or until toothpick comes out clean and edges are starting to brown. Cool for AT LEAST 20 minutes. Sprinkle with sea salt then cut into squares. I’m intrigued and will definitely be trying these! Thanks for sharing.